Public Concern At Work, the whistleblowing charity, is the leading authority in the field. We aim to protect society by encouraging workplace whistleblowing. Do you have a concern about possible wrongdoing or malpractice in the workplace? Do you know how to raise your concern so that it can be resolved by your employer or addressed by a independent body? We provide independent and confidential advice to workers who are unsure whether or how to raise a public interest concern. Our advice line is managed by qualified lawyers with a wealth of experience in whistleblowing law and practice. Follow guidance on the remit and scope of our advice. This explains what we can advise on and how we can help you. Find answers to frequently asked questions(FAQs) about whistleblowing, legal protection and the Public Interest Disclosure Act 1998. See our case studies for examples of the types of concerns we can help you with. Follow details of the case, the advice we gave and the final outcome of each matter. Please visit http://www.pcaw.co.uk for more information. Bullying and harassment is behaviour that makes someone feel intimidated or offended. Harassment is unlawful under the Equality Act 2010. Forcesline is a free and confidential telephone helpline and email service for current and former members of the Armed Forces and their families. The Team can provide factual information and 'signpost' ways forward to assist. Support extends to Regulars and Reserves in the British Army, Royal Navy, Royal Air Force and those who have completed National Service. The Helpline also provides a listening service to those personnel currently AWOL. As an independent charity SSAFA is not part of the military chain of command. Helpline numbers to call outside the UK: Germany 0800 1827 395, Cyprus 800 91065, Falkland Islands #6111, Rest of the world +44 (0)207 463 9292. Group Commander Steve Harris, Head of Fire Investigation, writes about how we support firefighters at serious and fatal incidents. Paramedics are nearly twice as likely to suffer from Post Traumatic Stress Disorder than soldiers coming back from war. An Oxford University Study shows that 10% of paramedics are at risk of the condition, compared to between 5 and 7% in soldiers. Dean Stuart, a paramedic from Essex, was left with flashbacks, panic attacks and suicidal thoughts - after getting called out to a suicide on a railway-line last summer. He walked down expecting to find someone hurt, but alive, and instead turned around to see a decapitated head. He told LBC he had dealt with similar incidents before, so didn't think too much about it: "But then I went to bed that night, and as I closed my eyes it was like a cine-camera going off, all the images in black and white flickering in front of me. Dean had been left with Post Traumatic Stress Disorder, his mood changed and he became angry and suffered from debilitating flashbacks. "My guard was down, I've been called out to jobs like that before and they don't affect you, well they do affect you, but you cope with it. Sometimes - you're just exhausted. "We're not robots, we are vulnerable, and seeing some of the stuff we see isn't a normal thing for anyone." Through it all though Dean says the welfare support at his work, a new system called TRIM, is what saved his life: "I can honestly say without Martin Butterfield's passion for TRIM, and his drive in moving this forward, I wouldn't be alive today. "And interestingly enough last week I got a letter through from my GP that said I've now been referred for my first assessment for mental health with what's going on with the PTSD, 7 months after the incident happened." 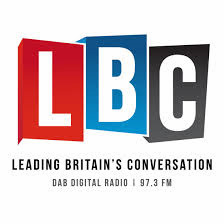 Jean Hayes from charity TASC thinks the numbers may be higher, telling LBC: "Meantal health illnesses are still very stigmatised, so people don't really come forth to say they are stressed or suffering from Post Traumatic Stress Disorder. "They know they might be taken off frontline duties." The original link is below however the page is no longer available as content is updated regularly on the LBC website. 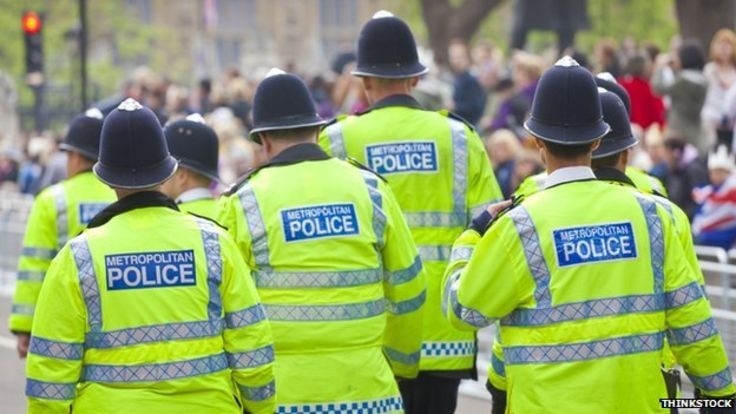 Cases of UK police officers and staff taking long-term sick leave for psychological reasons have risen by 35% over the last five years, according to statistics obtained by BBC Radio 5 live. 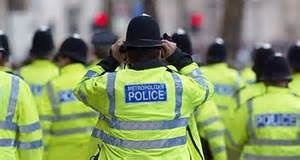 The figures, released under the Freedom of Information Act, show cases rose from 4,544 in 2010-11 to 6,129 in 2014-15 despite police workforces shrinking. 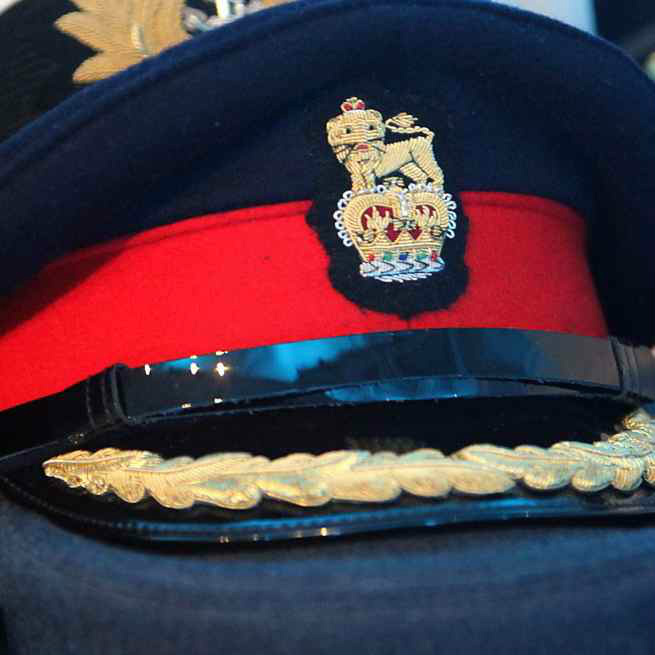 Ed Simpson who is a sergeant with North Yorkshire Police withdrew from frontline policing in 2012 after he was diagnosed with post-traumatic stress disorder. "I was so depressed that the thought of going to work and trying to survive another shift.. I would rather have been dead,” said Mr Simpson. 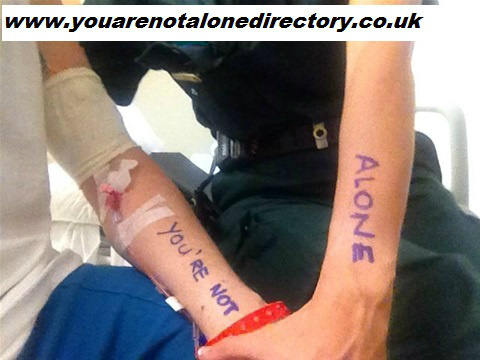 PTSD999 Is a completely new and independent charity funded by private donations. It’s unique in the way it will provide support; the majority of its trustees, administrators and most importantly doctors and counselling staff have served in the Emergency Services and/or Military and suffered PTSD, or have close ties with someone who has. This enables us to understand exactly the unique un-written bond that ties us all together. Our remit is simply to provide you with help, advice and confidential treatment, provided by people who have done the job you do. To ensure that the Emergency services do not suffer in silence but have access to the resources and support they deserve and need. To remove the stigma, embarrassment and worry about asking for help without fear of going on their record and fear of loosing everything. We aim to deliver support in a timely manner in an environment based on respect, kindness and collaboration that serves not only the individual but where needed the whole family. To provide independent and confidential treatment of PTSD along with welfare support and advice to all members of the Emergency services who are suffering from psychological wounds. The stress of cuts and daily trauma is taking its toll on our force. Trauma can (and does) happen to anyone of us at any time. Simply explained it is a normal reaction to an abnormal experience. The effects of psychological trauma can be overwhelming and have long lasting consequences, disrupting and disabling people’s lives. Trauma is an every day occurrence and effects ordinary people’s lives. It can limit their ability to work, maintain relationships and stay healthy. The symptoms of trauma can occur very soon after the incident or much later on, not only affecting the victim, but also, family, friends and work colleagues. Post Traumatic Stress Disorder (PTSD) can develop from trauma symptoms and this psychological injury can last a lifetime if left untreated. GP’s, family, friends and helping agencies often miss, or do not know what the symptoms of trauma are to look out for. The good news is that trauma injury and PTSD can be cured given the right treatment. Whilst psychological trauma injury has been recognised as occurring after a single traumatic experience such as fighting in a war zone or being the victim of an accident, disaster or act of violence, it is also known that it can result from an accumulation of stressful, threatening events. Working 24 hours per day seven days a week, the men and women of the UK’s emergency services are put into some of the most traumatic situations every working day. The sheer breadth of often hazardous, violent and life threatening situations that they are expected to deal with puts them at an extremely high risk of suffering from a psychiatric injury such as Post Traumatic Stress Disorder and Complex Post Traumatic Stress Disorder. With the emergency services, it is often the cumulative effects of witnessing and experiencing regular and repeated emergency incidents that can lead to the development of PTSD. Repeated exposure to horrific scenes at accidents or fires (such as bodies mutilated in car crashes, or horribly burned or disfigured in fires. Repeated involvement in dealing with serious crime eg where violence has been used especially where children are involved and have been hurt. 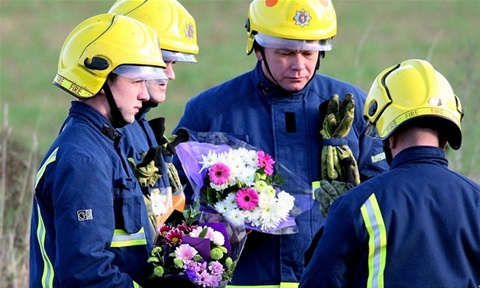 For the emergency services, the effects of trauma can leave them with the prospect of losing irreplaceable and highly experienced team members, often for long periods of time. The people working in the emergency services are its most valuable asset. 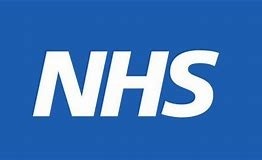 They - above anything else - have the most fundamental impact on whether the services that the public rely on so heavily operate smoothly and successfully - or not. The Red Poppy Company provides organisations with the specialist infrastructure needed to deal with all forms of trauma. From helping all staff manage the personal effects of experiencing repeated traumatic incidents, allowing them to remain an efficient and contributing member of the team, through to training managers and senior staff to spot the symptoms of trauma and instigate effective treatment. For more information on how the Red Poppy Company can help the Emergency Services, go to the Services on Offer Page. Dozens of tributes poured in for the lifelong Manchester City fan Mr Gaunt with firefighters forming a guard of honour at his funeral. 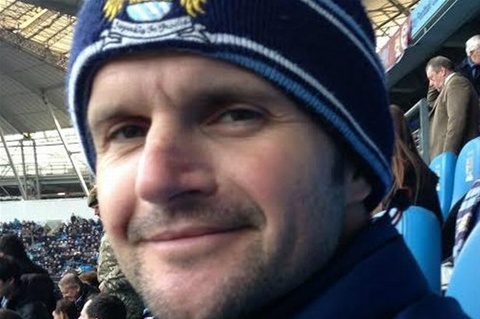 Coroner John Pollard said Mr Gaunt was having ‘pressure upon pressure piled upon him’. Recording a conclusion that he had intentionally killed himself, Mr Pollard said: “I think a lot of Lee’s problems were in his own head. “I think things that were really relatively minor became blown out of proportion. However Mr Pollard said there were a number of matters which caused him ‘concern’, including the level of occupational health support available to firefighters. 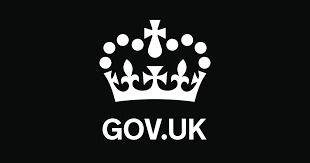 The UKPTS has been working to produce evidence based best practice guidance for organisations whose staff are routinely exposed to traumatic events as a result of their work. This guidance is also endorsed by the European Society for Traumatic Stress Studies. The UKPTS consider that adopting the principles enshrined in the guidance document should become the 'norm' for trauma-exposed organisations and lead to improvements in the health, well-being and productivity of individuals working in highly challenging environments. the mental health of their staff as far as is reasonably practicable. mental health problems are treated in an effective and humane manner. (permanent and contractors) face in the course of their work. In memory of Andy Ashman- And when the day arrives I'll become the sky and I'll become the sea and the sea will come to kiss me for I am going home. Nothing can stop me now. Trent Reznor. Information about employment rights and services as well as career advice. Please look at my blog for more information about apps that can be useful. Here are a few apps that may be of benefit. For my police colleagues. Call 4 backup (C4B) can assist in financial, legal, domestic matters as well as helping improve your wellbeing. Please visit www.call4backup.org for more information. This is a new charity and appears to still be setting up so not all areas of the website are complete. Definitely worth having a look at. 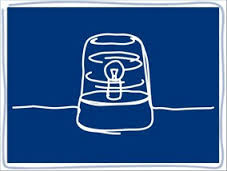 Mind Blue Light Infoline:Confidential infoline for emergency service staff, volunteers and their families. Be Mindful: Information and details of local mindfullness courses and therapists. Bereavement Advice: Support for people who have been bereaved. Tel: 0800 534 9494 Please look at the section on bereavement if you need more information, resources and/or advice. Blue Lamp Foundation: Financial Aid to emergency service workers injured in the course of duty. We know that 1 in 4 people in the UK will experience a mental health problem in any given year. But our independent research shows that the estimated quarter of a million people who work and volunteer in the emergency services are even more at risk of experiencing a mental health problem than the general population, but are less likely to get support. Mind has been awarded LIBOR funding to develop the Blue Light Programme, to provide mental health support for emergency services staff and volunteers from police, fire, ambulance and search and rescue services across England. Need advice on your mental health or wellbeing? Call, email or text our Blue Light Infoline; just for emergency service staff, volunteers and their families. We can provide independent and confidential support, advice and signposting. An information helpline and resources just for emergency service staff and volunteers, and their families. The support will start to be available from April 2015 and the Blue Light Programme will run until March 2016. It is being developed in consultation with individuals from across the emergency services. We received an overwhelming response to our online survey, and would like to say a big thank you to every one of the 3700 people who shared their views. We are in the process of analysing the full responses and we will be sharing more results with you soon. Show your support for people who work in the emergency services - spread the word on social media using the hashtag #mybluelight and don’t forget to include a link to this page (mind.org.uk/bluelight) to help your friends find out more. Be one of 100 emergency service organisations to sign the Blue Light Time to Change pledge and develop an action plan. If you are responsible for the health and wellbeing of the staff and volunteers within your emergency service then commit to support better mental health in your workplace - get in touch with your name, job title, the service you work for and your contact details, putting Blue Light pledge in the subject line. If you work or volunteer for the emergency services then you can help to raise awareness of mental health issues and fight stigma in your workplace by becoming a Champion. We will provide you with all the training, resources and support you need. Blue Light Champions will be part of the wider Time to Change Champion network. Become a reviewer: join our panel to help us make sure that all the materials and information we create give the right information and reflect how you work. If you haven’t registered to be a reviewer yet, we’d love to hear from you – please get in touch with the subject line ‘Reviewer’. Share your story: emergency service staff and volunteers with current or past experience of mental health problems can take part in a professional photoshoot and share their story. Your case study could help others to seek support and would be used in leaflets, on our website and on social media. You can also share your story in the news if you would like to, but it’s important to make sure you’re comfortable to share your story in this public way before deciding to take part. Please get in touch with the subject line ‘Case study’. Star in a webinar: Take part in one of our three 20 minute online films and share guidance, information, experience and tips from a script that we will provide. If you have experienced a mental health problem, supported a colleague with a mental health problem or work within the services as a senior official who provides support services for your team, then we would like to hear from you – please get in touch with the subject line ‘Webinars’. Email bluelight@mind.org.uk with 'Blue Light updates' in the subject line, and tell us your name, organisation and contact details. Around nine in 10 (87%) emergency services staff and volunteers have experienced problems with stress, low mood and poor mental health while in service, according to mental health charity Mind. Mind surveyed 3,500 personnel and found 55% had experienced a mental health problem. This compares to 26% of people in the general population, according to CIPD data. However, despite emergency services staff being at greater risk of stress and poor mental health, they are less likely to take time off work. Mind found less than half (43%) of emergency service workers said they have taken time off work due to poor mental health. This compares to 57% of the general workforce. In response, Mind is launching a campaign – the Blue Light Programme – to support emergency services workers to talk openly about their issues. Deputy prime minister Nick Clegg said such programmes should help drive “parity of esteem between physical and mental health”. NHS Employers chief executive Danny Mortimer welcomed the programme. 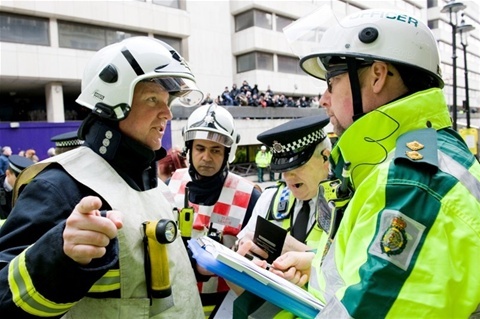 He said: “Society asks frontline emergency staff to respond to some of the most extreme events in our communities. This can take a toll on their health and having the right support within the workplace makes all the difference. The Mental Health Crisis Care Concordat is a national agreement between services and agencies involved in the care and support of people in crisis. It sets out how organisations will work together better to make sure that people get the help they need when they are having a mental health crisis. Access to support before crisis point – making sure people with mental health problems can get help 24 hours a day and that when they ask for help, they are taken seriously. Urgent and emergency access to crisis care – making sure that a mental health crisis is treated with the same urgency as a physical health emergency. Quality of treatment and care when in crisis – making sure that people are treated with dignity and respect, in a therapeutic environment. Recovery and staying well – preventing future crises by making sure people are referred to appropriate services. Although the Crisis Care Concordat focuses on the responses to acute mental health crises, it also includes a section on prevention and intervention. The Concordat builds on and does not replace existing guidance. Current service provision should continue while the Action Plan is being devised. Making sure people with mental health problems can get help 24 hours a day and that when they ask for help, they are taken seriously. When I need urgent help to avert a crisis I, and people close to me, know who to contact at any time, 24 hours a day, seven days a week. People take me seriously and trust my judgement when I say I am close to crisis, and I get fast access to people who help me get better. Making sure that a mental health crisis is treated with the same urgency as a physical health emergency. If I need emergency help for my mental health, this is treated with as much urgency and respect as if it were a physical health emergency. If the problems cannot be resolved where I am, I am supported to travel safely, in suitable transport, to where the right help is available. I am seen by a mental health professional quickly. If I have to wait, it is in a place where I feel safe. I then get the right service for my needs, quickly and easily. Every effort is made to understand and communicate with me. Staff check any relevant information that services have about me and, as far as possible, they follow my wishes and any plan that I have voluntarily agreed to. I feel safe and am treated kindly, with respect, and in accordance with my legal rights. If I have to be held physically (restrained), this is done safely, supportively and lawfully, by people who understand I am ill and know what they are doing. Those closest to me are informed about my whereabouts and anyone at school, college or work who needs to know is told that I am ill. I am able to see or talk to friends, family or other people who are important to me if I so wish. I am confident that timely arrangements are made to look after any people or animals that depend on me. Making sure that people are treated with dignity and respect, in a therapeutic environment. I am treated with respect and care at all times. I get support and treatment from people who have the right skills and who focus on my recovery, in a setting which suits me and my needs. I see the same staff members as far as possible, and if I need another service this is arranged without unnecessary assessments. If I need longer term support this is arranged. I have support to speak for myself and make decisions about my treatment and care. My rights are clearly explained to me and I am able to have an advocate or support from family and friends if I so wish. If I do not have capacity to make decisions about my treatment and care, any wishes or preferences I express will be respected and any advance statements or decisions that I have made are checked and respected. If my expressed wishes or previously agreed plan are not followed, the reasons for this are clearly explained to me. Preventing future crises by making sure people are referred to appropriate services. I am given information about, and referrals to, services that will support my process of recovery and help me to stay well. I, and people close to me, have an opportunity to reflect on the crisis, and to find better ways to manage my mental health in the future, that take account of other support I may need, around substance misuse or housing for example. I am supported to develop a plan for how I wish to be treated if I experience a crisis in the future and there is an agreed strategy for how this will be carried out. I am offered an opportunity to feed back to services my views on my crisis experience, to help improve services for myself and others. We are not invincible -we work together to save lives and we fall together. The general secretary of the Fire Brigades Union has responded to the publication of new figures by the mental health charity Mind that found 9 in 10 emergency services staff have experienced stress, low mood and poor mental health at some point whilst working for the emergency services. Matt Wrack, FBU general secretary, said: “Firefighters and other emergency service workers will welcome the publication of this report which draws attention to serious safety, health and welfare issues facing those on the frontline of our emergency services. “Firefighters and other emergency service staff deal with very challenging situations every single day. These may involve members of the public who are killed, injured or in danger in some way. This work therefore creates its own unique stresses and challenges. 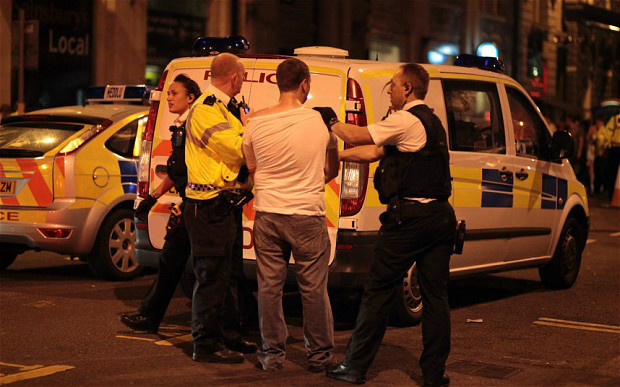 “In addition emergency service staff work 24 hours a day meaning that they may face such challenges at any time. It is well known that shift work creates its own challenges for the health and wellbeing of workers. “This situation is worsened as a result of a huge reduction in staffing levels across all emergency services. Recent years have seen the introduction of increasingly unsociable shift patterns while front line staff try to deliver the service with fewer and fewer staff. For many years, people with terminal illnesses were an embarrassment for doctors. Someone who could not be cured was evidence of the doctors' fallibility, and as a result the doctors regularly shunned the dying with the excuse that there was nothing more that could be done (and that there was plenty of other demand on the doctors' time). Elizabeth Kübler-Ross was a doctor in Switzerland who was very unhappy about this unkindness and spent a lot of time with dying people, both comforting and studying them. She wrote a book, called 'On Death and Dying' which included a cycle of emotional states that is often referred to (but not exclusively called) the Grief Cycle. The Extended Grief Cycle can be shown as in the chart below, indicating the roller-coaster ride of activity and passivity as the person wriggles and turns in their desperate efforts to avoid the change. Shock stage*: Initial paralysis at hearing the bad news. Testing stage*: Seeking realistic solutions. * This model is extended slightly from the original Kubler-Ross model, which does not explicitly include the Shock and Testing stages. These stages however are often useful to understand and facilitating change. Getting stuck in denial is common in 'cool' cultures (such as in Britain, particularly Southern England) where expressing anger is not acceptable. The person may feel that anger, but may then repress it, bottling it up inside. Cycling is itself a form of avoidance of the inevitable, and going backwards in time may seem to be a way of extending the time before the perceived bad thing happen. Founded by Bob Paxman (former 22 SAS) in 2008 Talking2Minds’ ethos was ‘Veterans helping Veterans’. That ethos remains to this day although, as Post Traumatic Stress Disorder (PTSD) and other severe stress-related conditions such as Stress, Fear and Anxiety and Anger Issues affect all sectors of society, it has now become ‘Like helping Like’. info@paradigmtrainingsolutions.co.uk to find out more information of what we do and how you can book onto training program.